Last month, we sent out a newsletter highlighting two permaculture workshops at intentional communities in the U.S. Since then, we’ve heard from many more program leaders who wanted their workshops to be included. We apologize for not featuring more in last month’s newsletter, and decided to revisit the topic this month! Here is a sampling of a few more programs you might be interested in. This is still by no means a complete list, so don’t hesitate to reach out asking us to include your program in future newsletters! Dancing Rabbit’s Center for Sustainable and Cooperative Culture is delighted to team up again with Midwest Permaculture to offer another 9-day Permaculture Design Certificate Course (PDC), happening September 16 – 24, 2017, right here at Dancing Rabbit Ecovillage in Rutledge, MO. Permaculture is all about creating sustainable human habitat. What better place to learn about sustainable human habitat than an ecovillage? The course will be based in our beautiful Casa de la Cultura. The village, gardens, and agricultural lands of Dancing Rabbit Ecovillage will be our laboratory. You’ll have abundant opportunities for hands-on learning! Visit Dancing Rabbit’s website and check out the video below to learn more. This transformational 12-week program introduces five spheres of sustainability — Personal, Social, Ecological, Economic, and Worldview — and integrates classroom learning with an immersion experience in our 27-year-old intentional community in Dexter, Oregon. Students earn two internationally recognized certificates: the Permaculture Design Certificate (PDC), which is the global standard in permaculture education, and the Ecovillage Design Education Certificate (EDE), a holistic sustainability standard anchored by Gaia Education and recognized by UNESCO. If you want to be part of a movement of people who work for sustainability, discover viable ways to live harmoniously with communities and ourselves, and thereby become more resilient in the world, join the Holistic Sustainability Semester. The next semesters are May 29th – August 18th, 2017 and August 28th – November 17th, 2017. 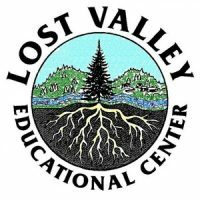 Visit the Lost Valley website or check out the video below to learn more. Do you know of any other permaculture programs we should highlight in our newsletter or blog? Please leave a comment below or send your recommendations to [email protected]!